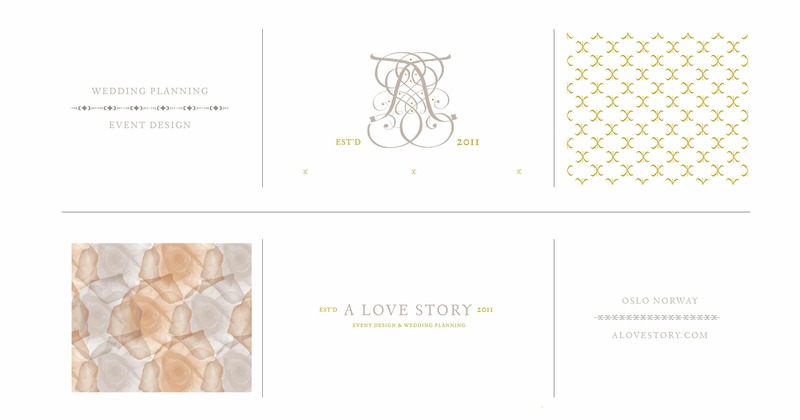 A Love Story « Stitch Design Co.
We just completed this logo and these graphic elements for A Love Story, a Norwegian based wedding planning and event design company. The logo is a combination of traditional calligraphy lines and elements that come together to form an abstract monogram. We’re in the process of designing the identity package and have been working on supporting graphic elements and patterns, also shown here. Much of Linda’s inspiration and design esthetic comes from Norway’s landscape, represented in the floral pattern. We also dissected the logo and pulled out elements such as “x’s” and “o’s” to form additional graphic elements that we will use as we apply her new brand. xoxo!